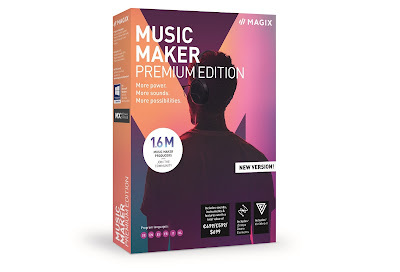 In the first of this year's Christmas Stocking Fillers features (and we've got a shed load of others planned) we take a look at some newly released musical head gear. Headphones are always a safe bet gift for an audiophile friend, but with so many of the mothers out there to choose from, picking the right pair can be a Christmas conundrum. That's why we've selected five of our favourites and duly tested the crap out of them. So deck the halls and crank up the volume, eh? First up we wanted to keep things simple with a pair of wired, light and relatively cheap cans. The Headpods from Boompods (or is it the Boompods from Headpods? 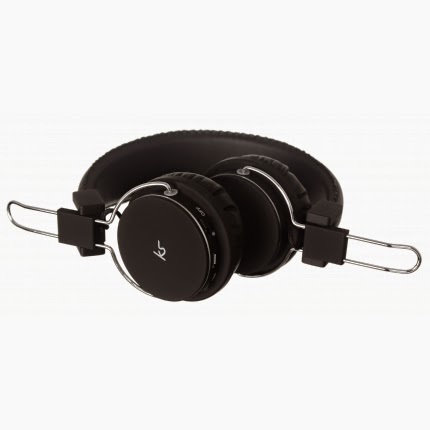 - we're not too sure) are well-built, comfortable, on-ear headphones that include a built-in mic for making calls. No hassle of pairing Bluetooth here, as their biggest selling point is their simplicity. 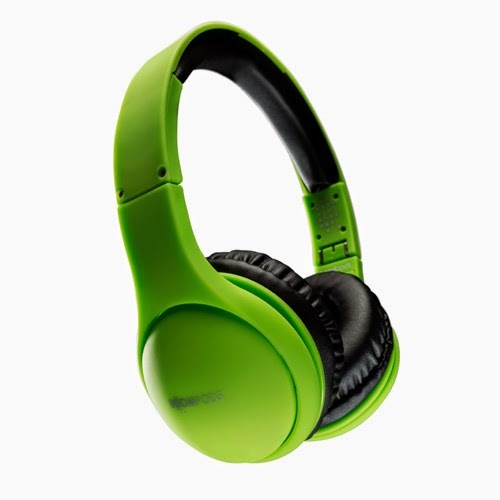 Coming in a range of vibrant colours (we got the green and were rather chuffed with them) the Headpods include a neoprene carry bag, a remote half way along the phono cable, and the handy ability to fold up pretty neatly. They sound... okay, but okay is all you can really expect for the price range in which the Headpods fall. That said, audio reproduction was good enough not to notice any snags, and for occasional and casual listening on the bus or train, these are great. Sticking with the wired, on-ear headphone type, next we took a look at the Milano from KitSound. 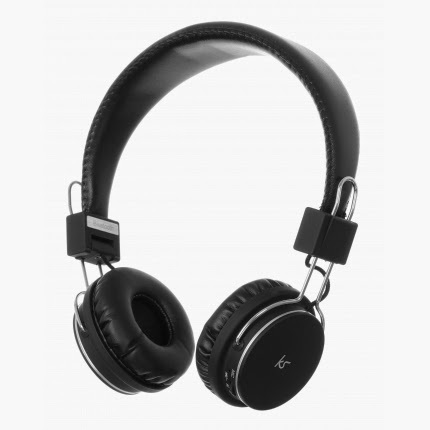 KitSound produce a great range of very different looking headphones and speakers, and the Milano leads that charge. 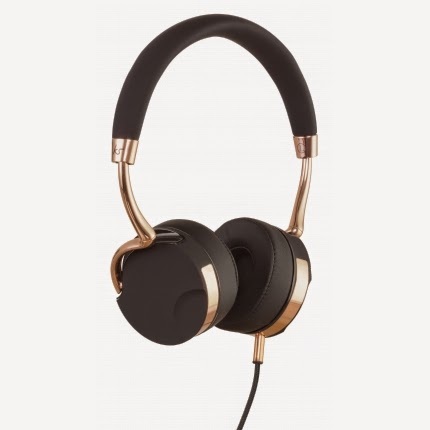 Looking tight and modern, they feature a zinc alloy headband and minimalist cans. 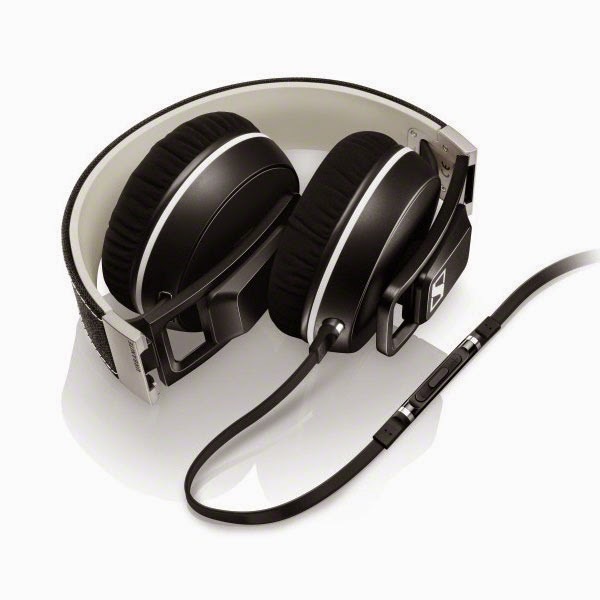 Again, these are a very easy to use pair of headphones with remote and mic built-in along the phono cable. 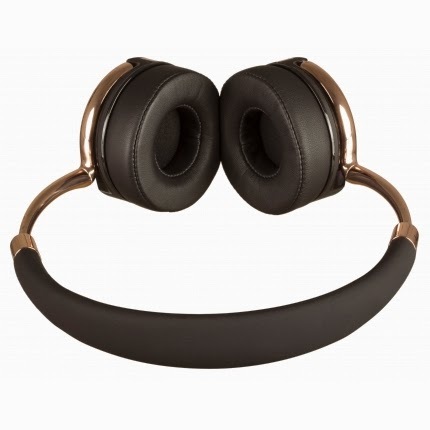 This pair don't include a carry bag, nor do they fold up, but that can be forgiven due to the quality of the sound. We found that anything played through the KitSound Milano had an incredible bass measure, far deeper and richer than we were expecting from a pair of fifty quid 'phones. Everything else sounded pretty good too, and we were constantly pleased by how damn light and insubstantial they feel on your bonce. A surprising pair indeed. The only set of earbuds on the list, but a vastly unique pair indeed. Probably the smallest Bluetooth 'phones we've ever tested, these attach to your shell-likes via hooks and then hang down in front like Pat Butcher's earrings. There are controls on one of the buds, and as they're light as a feather and (so we're told - we never run anywhere) sweat resistant, these are perfect for your sporty mates. We've said it before, but we've yet to test a pair of Bluetooth headphones that produce sound as good as their wired alternatives of a similar price and output. 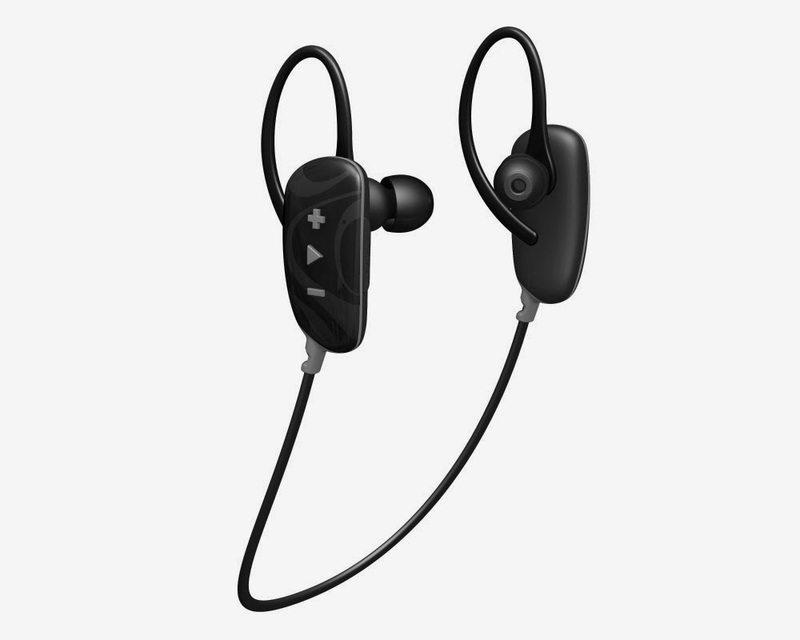 The slight loss of reproduction is surely made up for in functionality and ease of use, and that is definitely the case with the Jam Fusion Bluetooth Earbuds. Although Jam are marketing these as every day, do anything headphones, we found that their looks and feel made them more sporty than not. The only pair of over-ear headphones on the list, these goliaths from Sennheiser are designed for tough urban living (which is an odd thing - surely its tougher to live on a farm?). Built with durability in mind, the Urbanite XL Headphones are wired to produce immersive and deep musical reproduction without loss or interference. And they fold, yay! Popping a pair of these in your head certainly makes you aware of their high build specs, aptly demonstrated by a £200-ish price. Regardless to say they were the clearest with all genres and types of music of any of the cans on this Chrimassy list, but although they are four times the price of, say, the KitSound Milano, we didn't notice too much of a difference. But that is not to say that we were disappointed (oh great Santa's socks, no we weren't!) 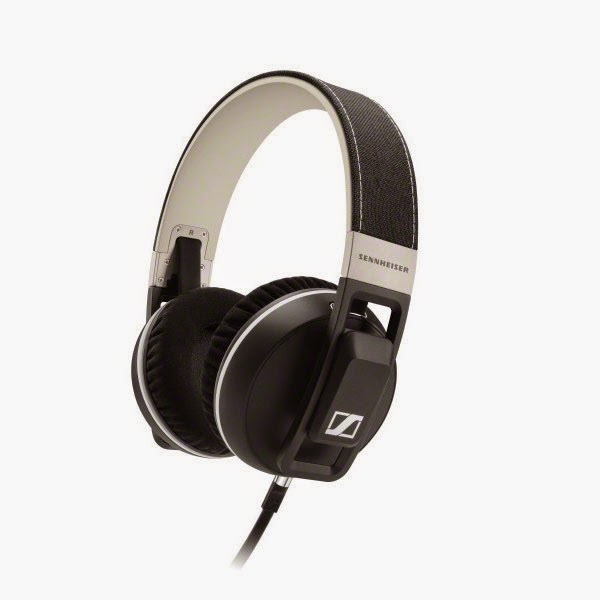 and in terms of comfort and longevity the Sennheiser Urbanite XL are clear winners. We weren't joking when we said KitSound have got a massive range, as another offering from the British company makes an appearance here. The Manhattan are Bluetooth-fed, traditionally styled cans which feature an impressive 18 hour playback time, and a whopping 30 hour talk time. The cheapest on the list, the Manhattans were, if we're being truly honest, probably our favourite.